BBX – PCI non-compliant screenshot. Click to enlarge. Opens in a new window. 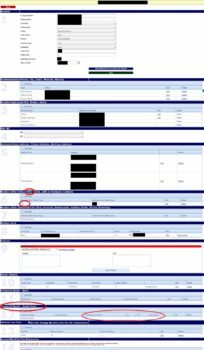 In recent posts I have explained how my investigations into BBX, a Hong Kong-based, Australian run barter business have revealed criminal conduct on the part of BBX management. I have also alluded to the challenges that those who are involved have in being associated with the ailing (and I posit), dead and dying brand. I now discuss the issues that IRTA face in dealing with the BBX challenge. While it is a simple thing for them to handle – they are bad boys, get out, go – there certainly are issues! Here’s my take on it all. IRTA definitely has some problems as a result of the recent BBX fiasco and they know it. Their first and most obvious one is that it is an investigating blogger whom they know very well in the industry who is dealing with this BBX criminal thing. I didn’t break the story – a Thai whistleblower did but I investigated and ran with it. To put it simply, IRTA and I know each other. IRTA first endorsed me over my investigation into conman Daniel Evans and his Ormita fraud. Next they suffered under my realtime analysis of their handling of the Bartercard IPO (I laid into them over that); their secret (until I exposed it) sweetheart deal with Bartercard over their yet-to-be completed software as the best in the business (which was utter nonsencse and I said so) and then their mismanagement of the Universal Currency in which I claimed and know was just immoral and arguably illegal. I slammed them continuously over their appointment of Dutch conman Rob van Hilten on the International Board of Directors, a sweetheart deal done by Ron Whitney and Annette Riggs totally against IRTA rules at the time BTW. We had a serious situation where Ron Whitney stated under questioning that I my blogging was not credible and then they defended the Tradeqoin and Qoin con publicly, getting totally sucked into the conmen’s BS when for some three years I had been telling the world the facts. Proving IRTA to be backing conmen showed to the world that indeed nepotism was rife within IRTA and ethics somewhat absent. So we’ve got a ‘history’ together, shall we say. I’ll talk to anyone anytime but IRTA is unlikely to want to talk to me. They will know very well that I’ll be holding them to account the instant they’re on the phone! This then is their first problem. Their next issue is publicity. If the whistleblower had gone to them first they could have said that BBX was under investigation and they knew about it. Not so now. I’m sure that it would have all come as a shock to them as the story came out bang, bang, bang and this is ongoing. This is a huge leverage on them because they are now probably having to react rather than to be seen to be taking a pro-active step to deal with trouble in their ranks. It’s not a serious problem for them, although it could be, depending . . . All of us can get blind-sided and conned from time to time but these guys want to be seen as the gurus in the industry so it’s not a good look for me to bring the news to the world and for them to be seen to be reacting. So while he gained some new US exchanges he talks specifically of BBXI and BBX franchiseees, using the word “quality” in the process. Ummm, Houston, I think we have a problem! I want to set the scene here a little, some of this is in my report but we have a well-established mid-sized barter organisation with international coverage. The UK operations are believed to be sound, run by an apparently upright guy – or at least that’s the story IRTA knows and believes. But there was an issue – the founder, who had not even died at that stage but was in a coma actually hated IRTA with a passion and refused for his company to be involved with them. And IRTA signed up BBX while he was on his deathbed?! Now I wasn’t a party to the deal but one really wonders what IRTA was up to. What was their due diligence? Did they do any, or did they just waive these guys right on in to the IRTA ‘club’ and talk it up? Next comes the liability thing. If IRTA knows or knew about trouble in the ranks (and they do/did before it came out publicly), and if they knew/know that it was at the level of criminality (it is), and if what I said in a recent post is true that associated parties to crimes become liable for aiding and abetting the crime (and I know that I am right in principle here) and if IRTA is an associated party (which because they talked BBX up recently and are a member) then they are exposed legally to aiding and abetting criminal activity. This is potentially a VERY serious and (for them) urgent issue. Every hour, every day, every week that goes on in this situation where people are name-calling each other and getting angry at and blaming each other creates the impression that IRTA, the industry association and supposedly the watchdog is endorsing their member BBX. This is a huge risk of exposure for the people directly involved in IRTA, particularly the Chairman who has talked BBX up in last year’s puff-piece calling them “quality” [members]. If a bunch of people from Hong Kong (actually living and working in Australia) can hoodwink the industry watchdog like this, one has to ask the question about what their due diligence is . . . and this is even before they are into the IRTA fold! IRTA has some serious work to do in this area – either they dropped the ball on this case, and one has to wonder who, what, when and why this all happened – or they have systemic issues that allows new members to waltz in with all glee and pomp and ceremony. Do you think that the BBX International management took advantage of the fact that they were IRTA members? You betcha they did! I can tell you that they very definitely did, even to the point of announcing that fact in Asia, where not all of the Agencies had even signed up to IRTA and would never! Allowing such people in to IRTA indicates that there are systemic issues within IRTA – either a willingness to look the other way; incompetence or outright corruption. I have my take on that but the point remains that IRTA will need to address this fiasco in order to claim credibility in the marketplace. I’ll be watching what comes out from IRTA like a hawk I can assure you that I will be ready to analyse any spin for what it is at the drop of a hat. I’ll also give them any credit too if the fess-up and deal with it constructively – that’s only fair, of course. Let’s try to summarise the situation as simply as we can. IRTA has a challenge foist on them by an investigating blogger who has gone out with the results of his investigation of one of their new members. There is a history between myself (the investigator and blogger) and IRTA who have publicly and privately, and for a long time maintained that I lack credibility. The information has been provided to them about their recalcitrant member prior to publication. They have a long history of having to face the perception from those in the know that nepotism reigns strong in their halls of power. They want to present themselves as Knights in Shining armour but the loss of a kingpin in their membership acquisition strategy (an international barter organisation) in bad circumstances could potentially reinforce this perception and possibly damage their reputation. The blogger (me) is known for his relentless and effective pursuit of the truth, justice, integrity and especially in this industry, blah, blah, blah. There’s a lot more and many different political factors which are boring to the public and affect only the industry, but that’s the guts of it. IRTA needs to make a judgement call, and fast, over whether there is fire under the smoke and whether I am right. If they were to call me and ask the questions, “Are you sure? Do you have the evidence? Can we trust you on what you have written?” I would answer . . .
Should IRTA trust me, I would recommend that they act fast and proactively because if I am right (I usually am) and if the BBX empire crumbles as soon as I suspect that it will (and we are talking only a matter of days, IMHO) then they would be well advised to act immediately. I am talking about an immediate suspension of BBX’s membership of IRTA pending investigation at the very least or whatever. If they have the proverbial they should show the world that they can act firmly and with authority and simply terminate effective immediately for gross breaches of multiple ethics guidelines and membership rules. 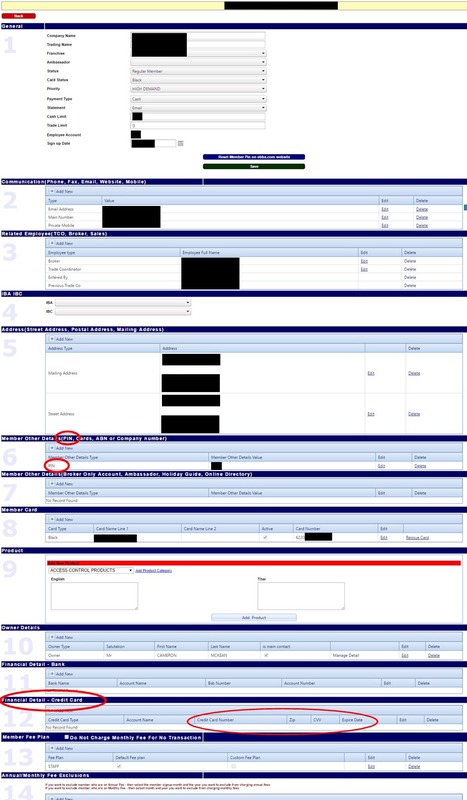 In the interests of expediting justice, I supply here (above) smoking-gun proof of PCI non-compliance within a financial management system of their new “quality” member BBX, a high resolution screenshot that clearly shows critical highly sensitive information in full view of any person choosing to access the BBX system globally. This runs contrary to banking rules and the fines for such activity start (yes, start) at USD$50,000 which will be passed down through the banks involved to the suppliers of BBX’s banking access to BBX themselves. This is the first piece of prime facie evidence that IRTA needs to determine serious breach of IRTA rules. All it would take is one, just one person, anyone on the planet, to make a formal complaint to any bank or credit card company and BBX are gone! If nobody else does this then I will. It’s all online now! The second fact (that takes these matters into the criminal category) is to know when BBX’s management knew about this breach and then knowingly allowed it to continue, clearly Criminal Negligence when so many cardholders (some 88,000+ by BBX’s own information) are exposed. I have the evidence. IRTA will know where to get it and if they need help (under certain well defined conditions) I can prove to them that this is not a recent activity; that it is not only responsibility proven to the current directors of the BBX empire, it can be proven back to the Founder’s days. Should IRTA act to distance themselves from this stinking abscess that is rapidly turning into a corpse prior to their downfall, they will have shown the world that they have integrity. I will be the first one to congratulate and support them. If they do this then I will support and defend them to the hilt unconditionally, regardless of any other matters of a personal or business nature, for they will have done what I consider the honourable thing for the industry at great risk of being seen as fools for having got conned by the BBX spin-machine. Should IRTA wait until it is obvious to the world that BBX is toast (for example more BBX Agencies and people come out and support my conclusions, and/or pull out of the BBX system) then I will consider that IRTA will only be reacting to the situation and have attempted to protect their member until they had no other choice but to terminate or suspend. To Ron Whitney and John Strabley I say this, “Guys, I have the proof. You have the story. Trust me”. I will be watching IRTA like a hawk and will report developments in this horrendous BBX debacle as they occur. This is the latest in a series following my investigations into BBX that has laid out the issues as I see them. There is more . . . a lot more, and I intend to report developing events as they occur. BBX is toast. The directors will be almost certainly facing jail time – of that I am certain, however the more important thing is that all those involved with BBX in a wider circle know, understand and realise that deception is normal from within the tight-knit circle of BBX owners. In my opinion the BBX currency is debased beyond redemption and it is abundantly clear that the people who got BBX into this position have no capacity to get them out of it. I pronounce that following my investigation and revelations here that BBX has been mortally wounded and is effectively dead. Here is evidence of the first issue as promised above. I will retain the evidence of the second aspect (the criminality) from public viewing but (with some conditions) I will make it available to anyone taking criminal or civil action.